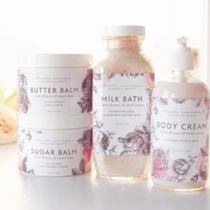 For mothers, daughters, sisters, wives, cousins, girlfriends, aunts, and grandmothers… we’ve rounded up some wonderful local gifts for the special females in your lives! 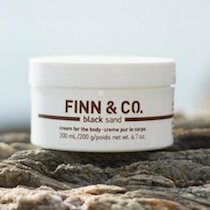 Black Sand Body Cream Inspired by the little black dress, the black tie, and the moment when the starts to set, the “Black Sand” fragrance from Finn & Company (made in Maine! ), is a classic scent infused with jojoba and apricot seed oil. Smells like a warm evening at the beach! The “Kennebunkport Carryall” Longwharf Supply Company’s “Kennebunkport Carryall” handles daily duties like a boss! 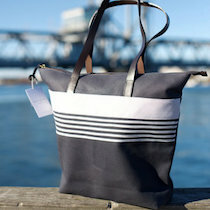 This top-quality tote is inspired by hot summer Fridays – rushing out of the office to spend a few days grabbing breakfast sandwiches from Old Salt’s, walking Goose Rocks Beach, and enjoying cocktails at The Tides! 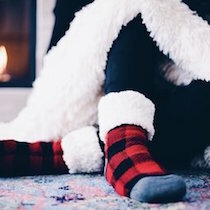 Lumberjack Socks These extra cozy, sherpa-lined socks are on Oprah’s list of Favorite Things for the Holidays this year!! Shop for them at BARE Waxing Boutique before they sell out! Perfect for stylish everyday warmth, or to slip on for your beauty sleep! Helen Linen Pillow Cover Another stunning work of art from local artist Whitney Somerville! 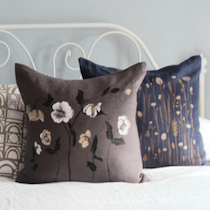 This dark gray, 100% European linen pillow cover is screen printed with a floral hellebore design in peach, white, or dark teal. 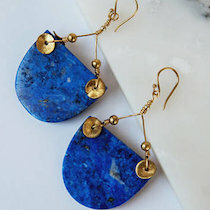 Lapis Lazuli Tribal Earrings These handmade wire earrings are beautiful and regal, created in a luxurious blue by local jeweler Lynx by Rachel Curwen! 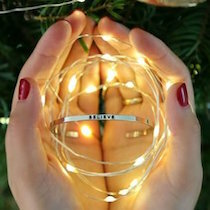 Mantraband Bracelets Mantraband bracelets are a beautiful way to promote a lifestyle of optimism, positivity, and mindfulness. Available in a variety of colors and mantras at Whims & Whatnots. 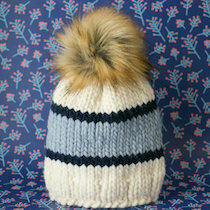 Pom-Pom Hat Handmade in Maine, this cozy (and stylish) hat is available in a variety of colors at Daytrip Society! 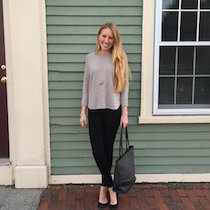 State & Manor Everything These products are some of the softest items of clothing you’ll ever slip on, AND the company was founded by a seacoast native! A large selection of tops and bottoms are sold at Making Faces. Sara Fitz Art Prints Add a tasteful touch to any space in your home. 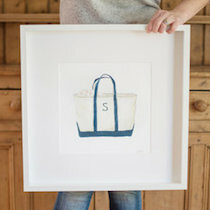 Available in 15 lovely designs from local artist, Sara Fitz. Ollie Hoops These hoops are made by local jewelry maker Estie Ott and sold at Waddytoots! 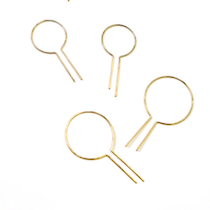 Stunning gold-plated, pull-through hoops are available in three different sizes. A perfect for the favorite woman in your life. 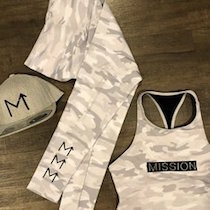 Fitness Apparel Workout in STYLE with fashionable apparel from MISSION Portsmouth! A variety of styles and designs are available at MISSION’S boutique. 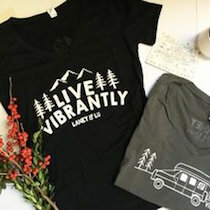 Live Vibrantly Tees Available in v-neck and scoop neck, these tees from Laney & Lu are inspiring, soft, and can be worn anywhere — from everyday activities, to the beach, to a hike up your favorite mountain! janegee Facial Kit The janegee Facial Kit gives you the tools you need to manage your skin at home. The facial protocol is simple, fun, and easy to incorporate into your weekly schedule. The janegee Facial Kit will cleanse, purify, smooth, and tone your skin. Billie Pullover One of the softest pieces of clothing you’ll ever slide over your head, this top from State & Manor is everything and more. 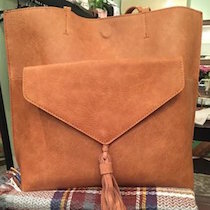 Available in a variety of colors at WHEAT Newburyport. Don’t forget the matching sweatpants!! Leather Boots Tall, brown, lace-up and beautiful! 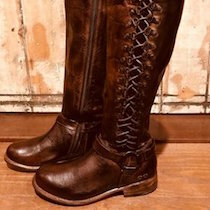 These leather Bed Stu boots are available at Inside Out! Barefoot Dreams Cozy Imagine falling asleep by the fire in this ultra-cozy hooded sweater from WHEAT York Beach. Hello winter!! With a roomy fit and two front pockets, this sweater (available in stone and slate blue) is sure to keep you toasty all season long. Socks and Barre Give a special person in your life an experience gift this year — the opportunity to try Pure Barre Portsmouth! Have her open the tangible gift of Pure Barre socks and pair it with a 4-week Unlimited Introduction Special from the studio! Toiletry Case A durable and beautiful toiletry case by Roberta Roller Rabbit that is sold at Let’s Glow! 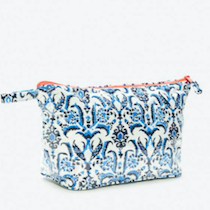 Ideal for every woman on your list who likes to keep organized; you can never have too many toiletry bags! Floyd Cardigan This soft-as-can-be open jacket is perfect to dress up any look while wintering in New England! Available (and on sale!) at Let’s Glow’s online site. 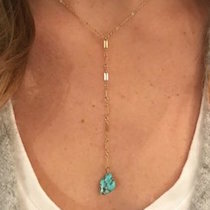 Totes and Jewelry: These chic items from MINT Boutique will keep your gal fashionable year-round! 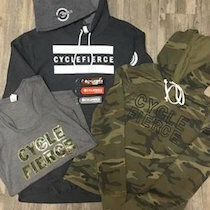 Athleisure: From soft camo sweatshirts, to baseball hats with gold glitter, the fitness apparel from CycleFierce will take you everywhere in style!